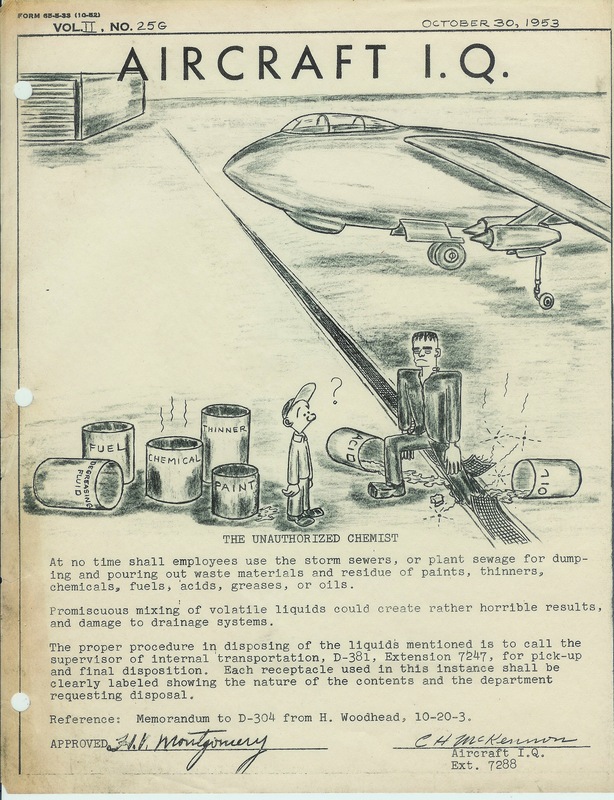 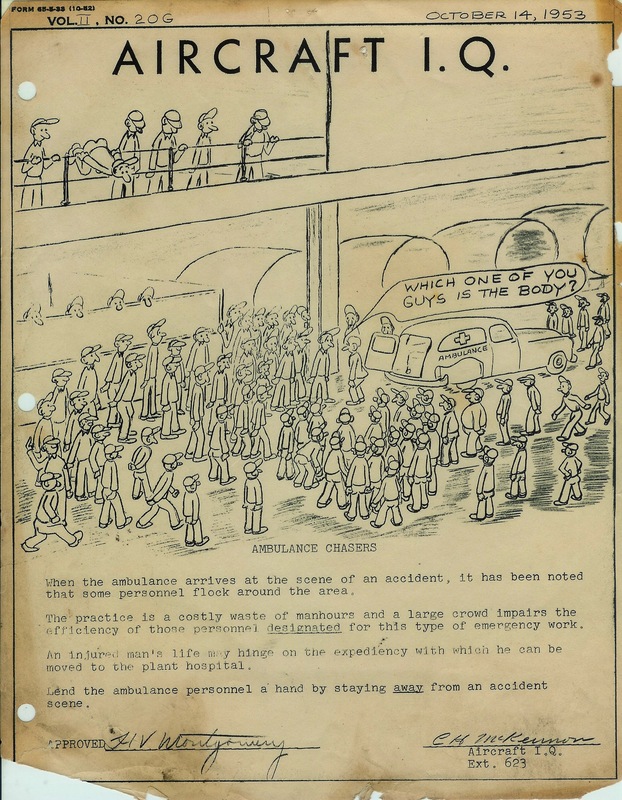 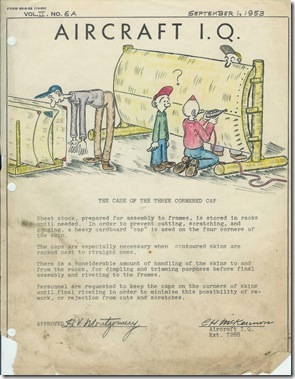 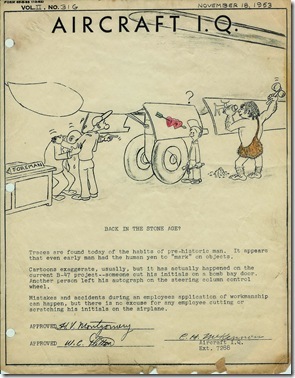 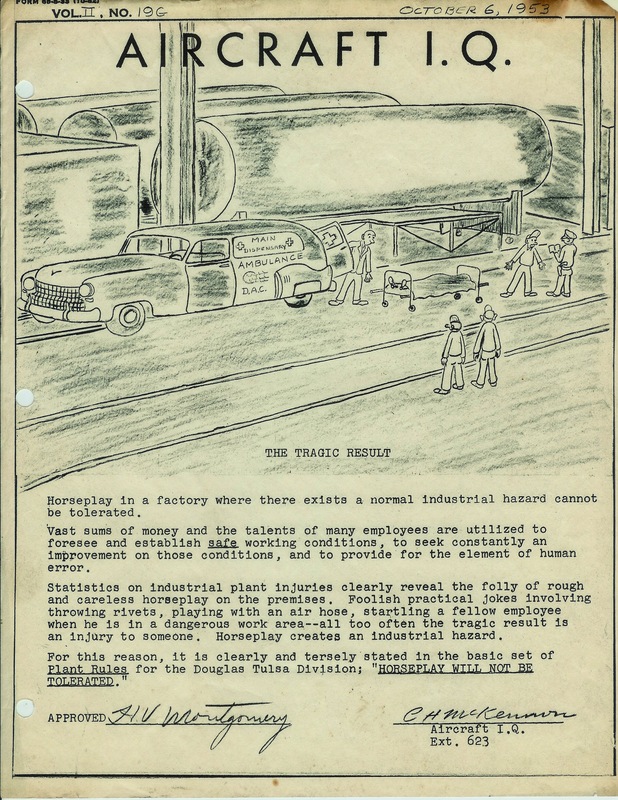 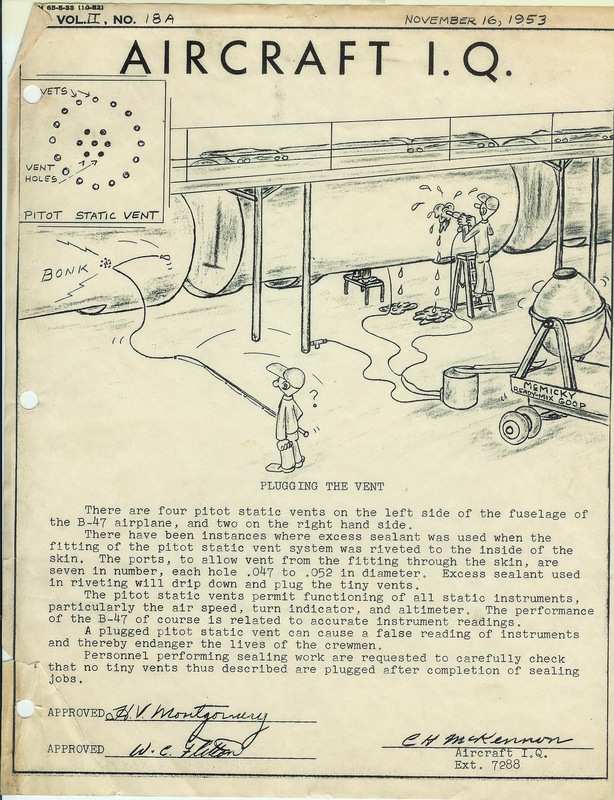 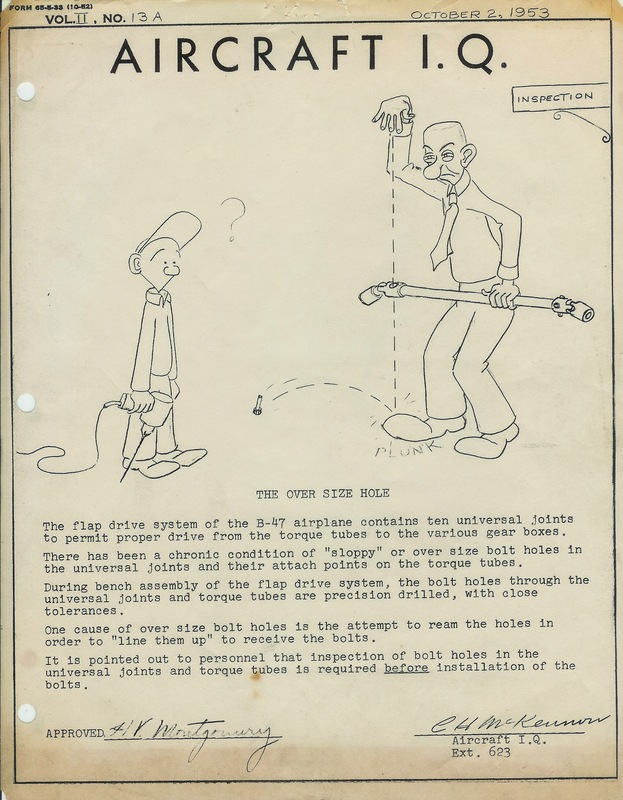 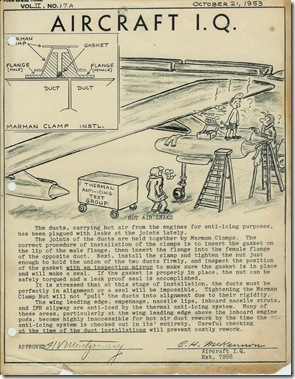 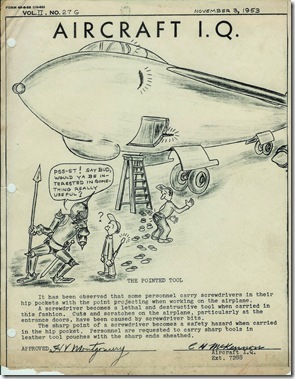 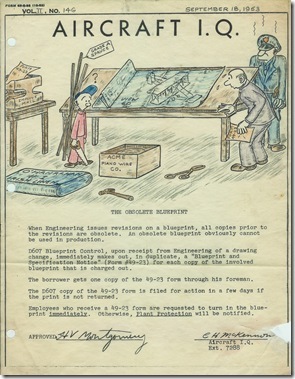 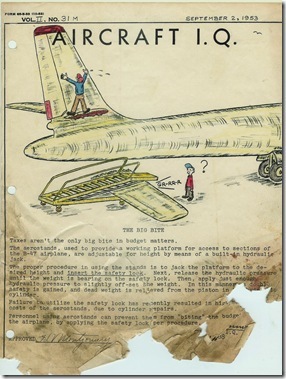 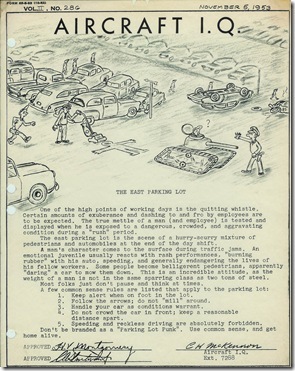 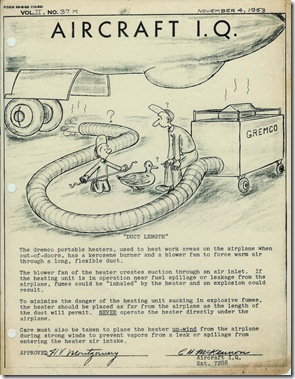 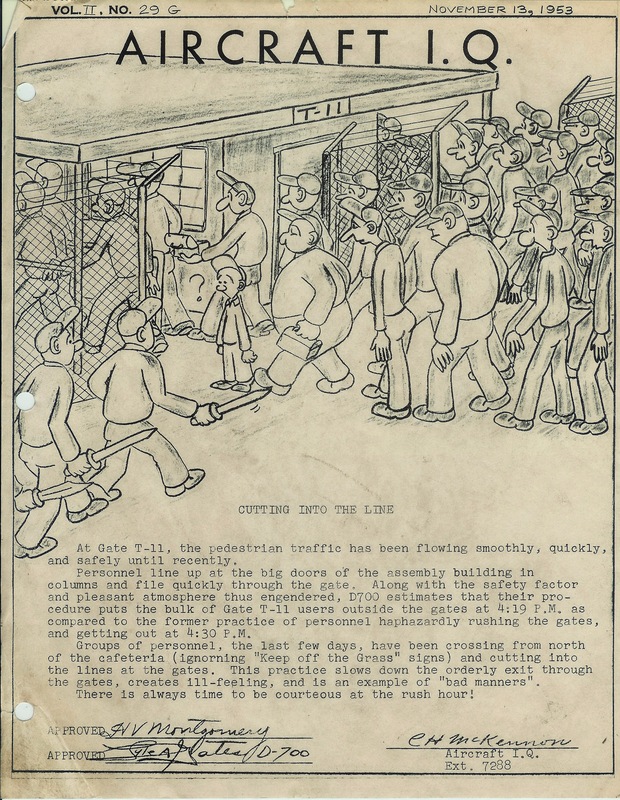 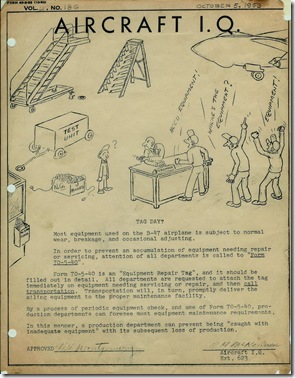 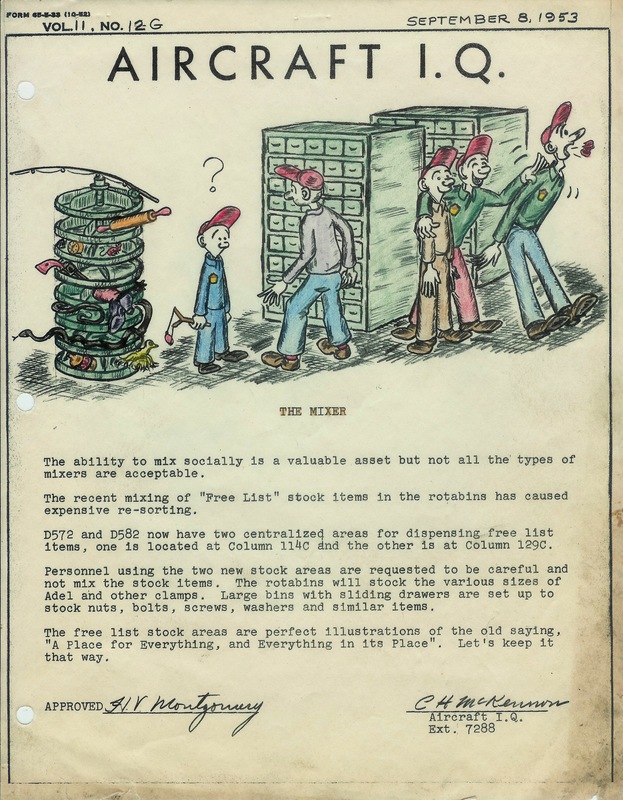 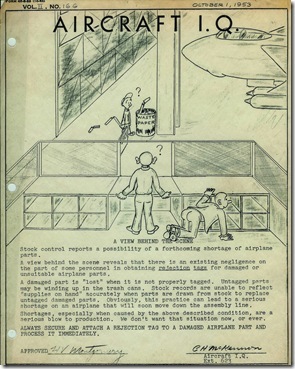 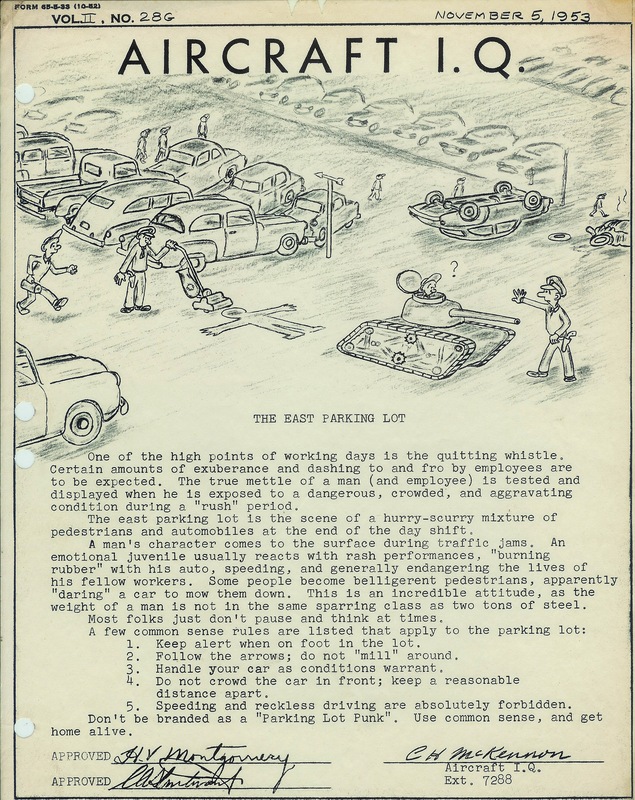 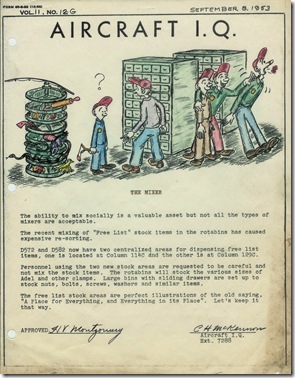 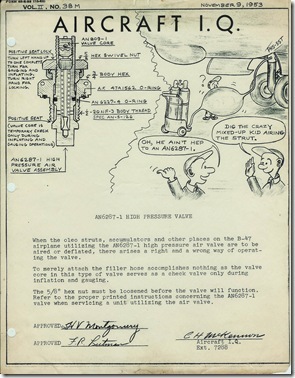 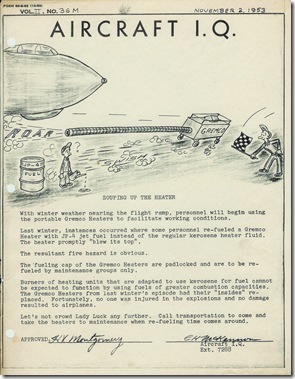 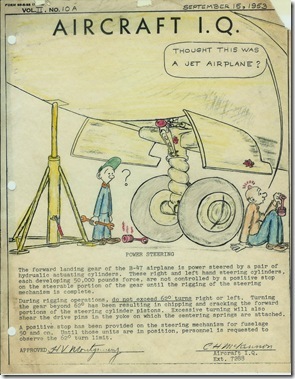 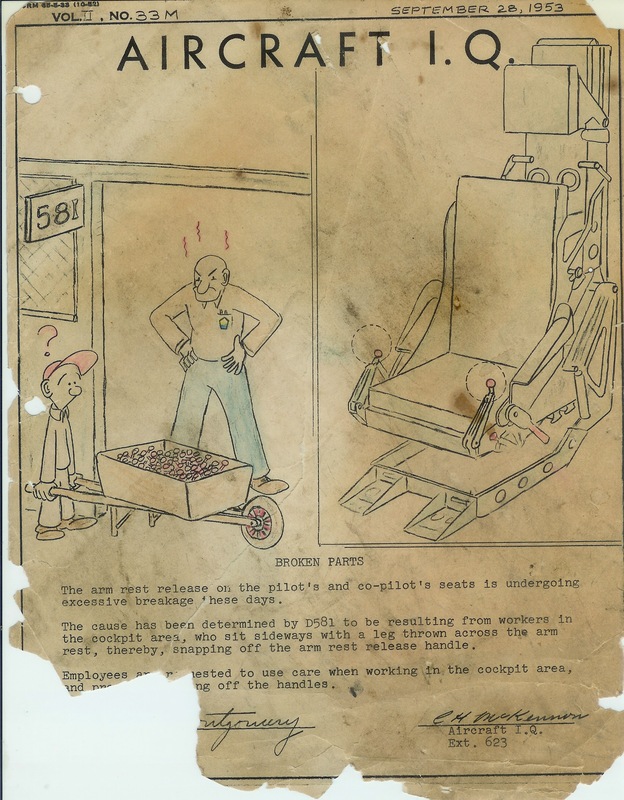 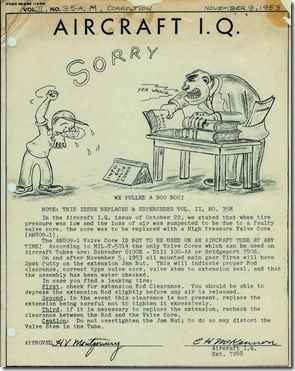 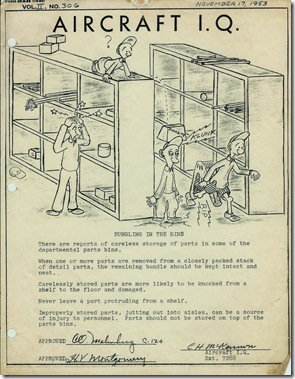 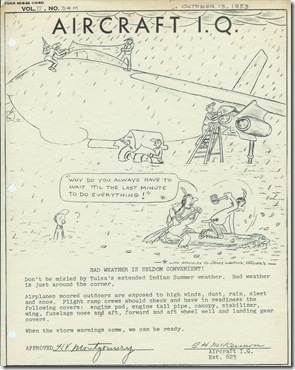 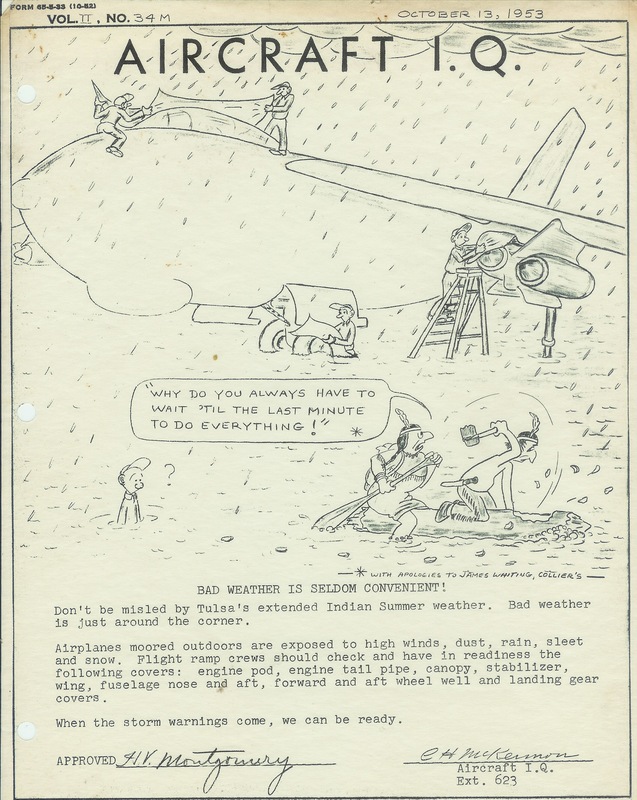 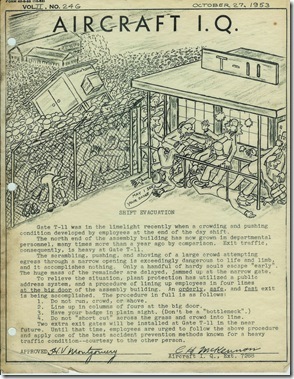 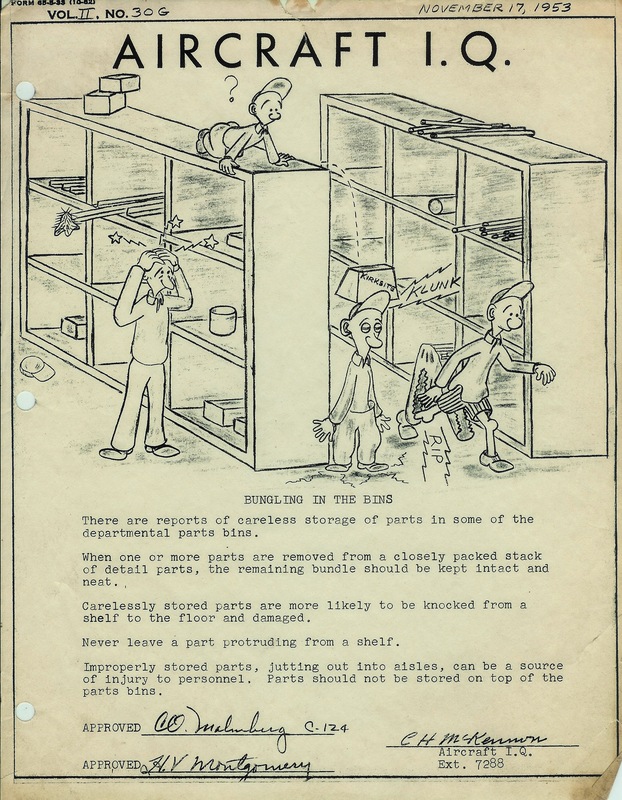 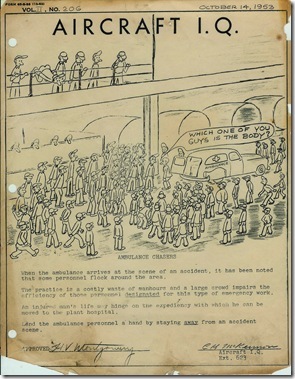 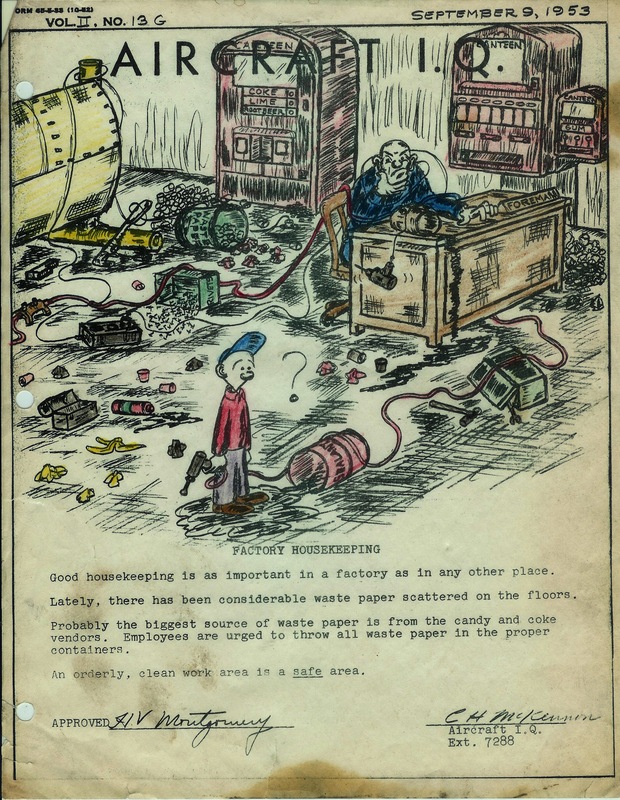 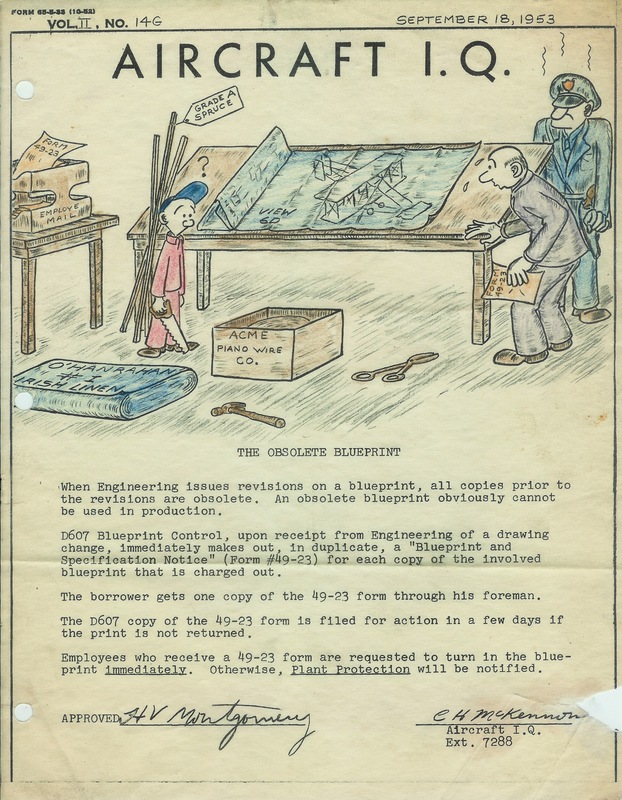 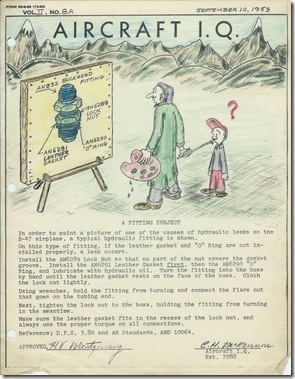 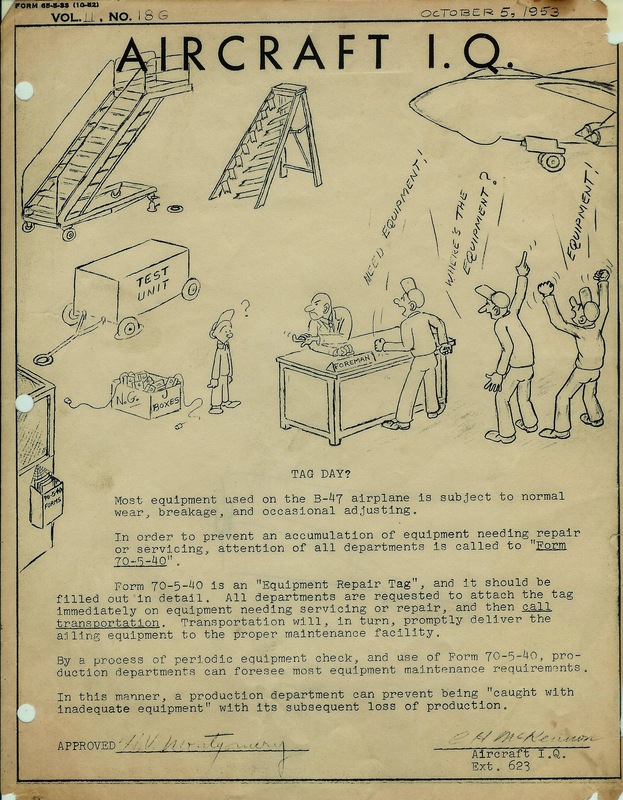 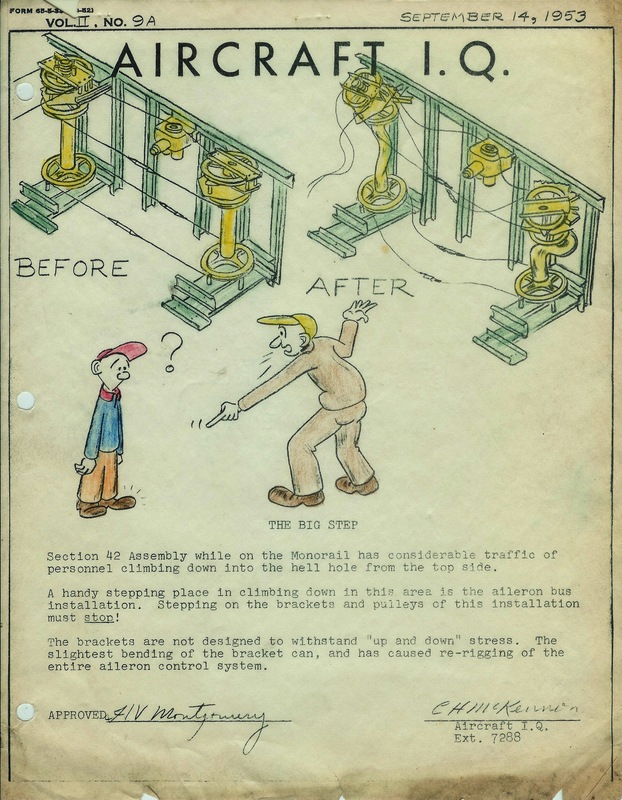 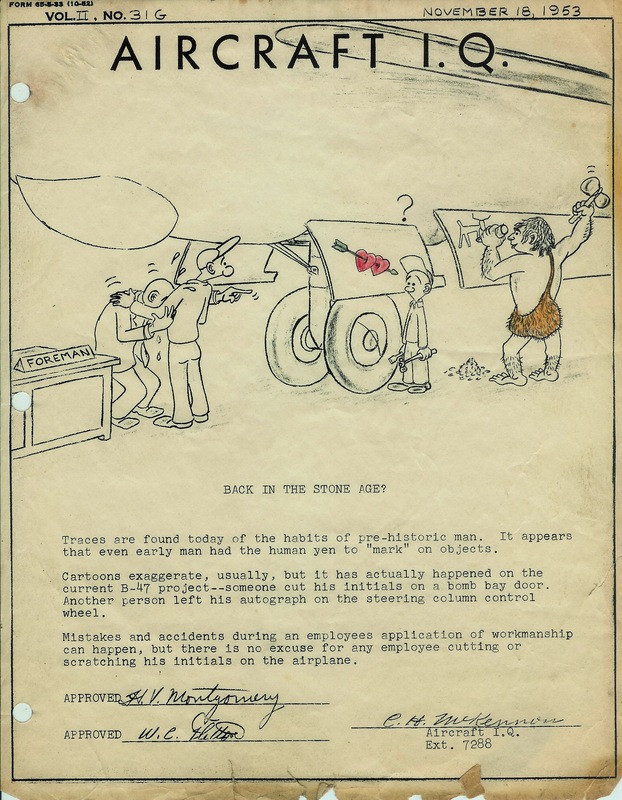 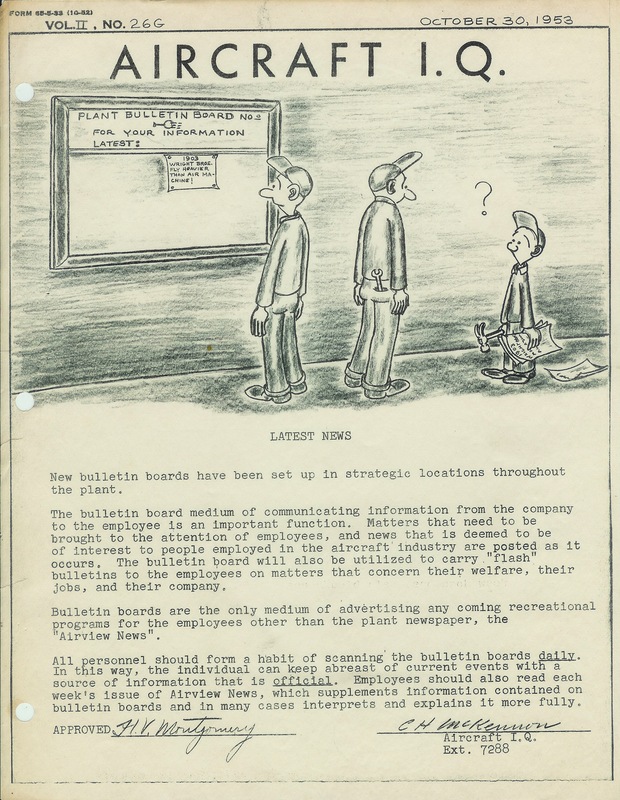 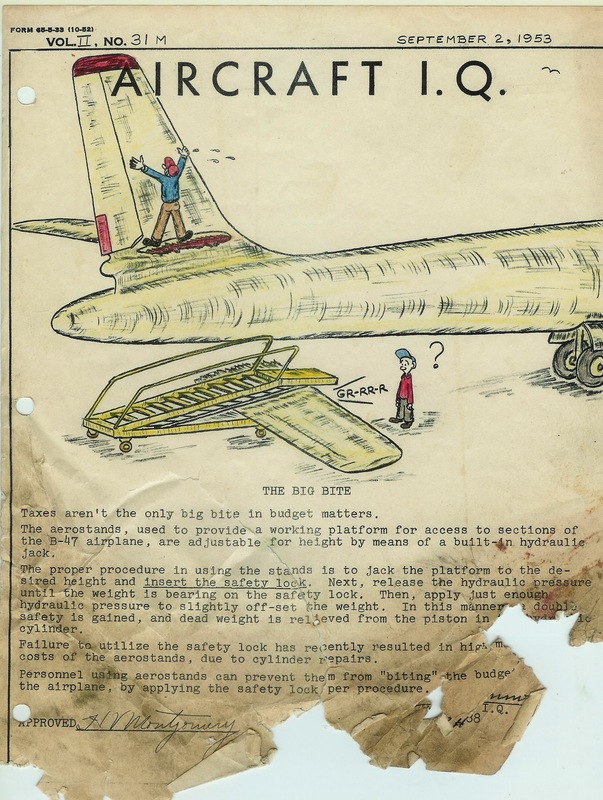 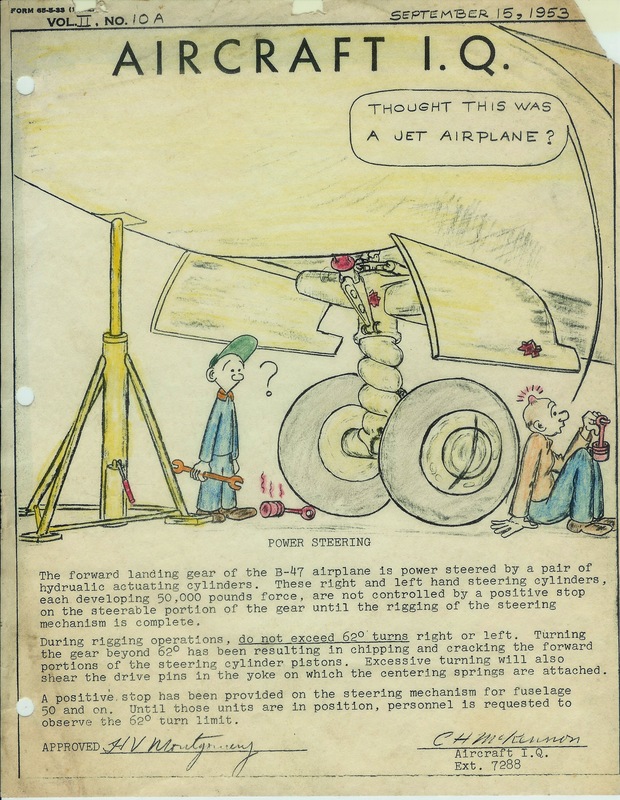 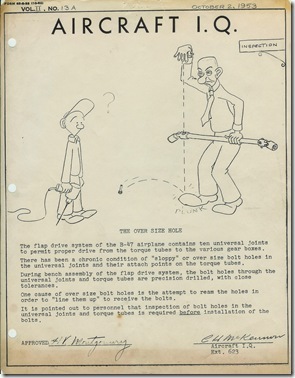 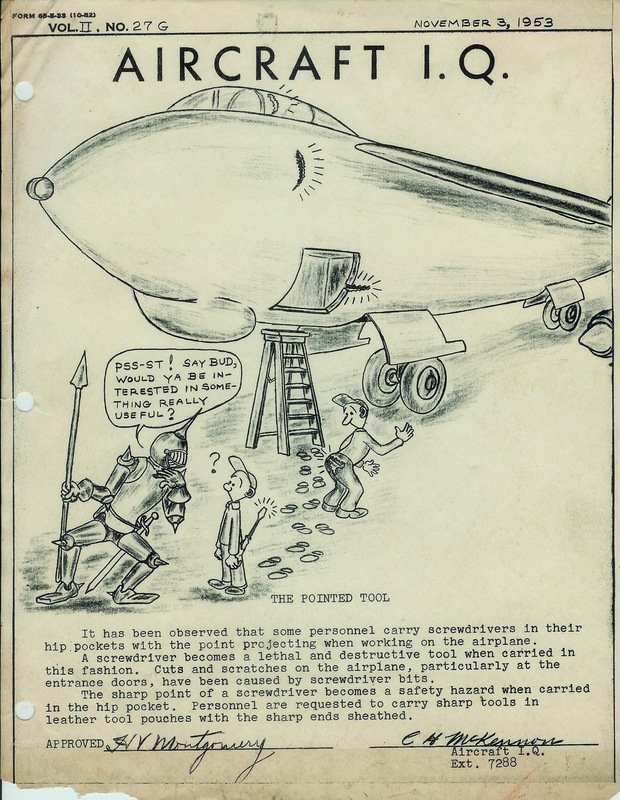 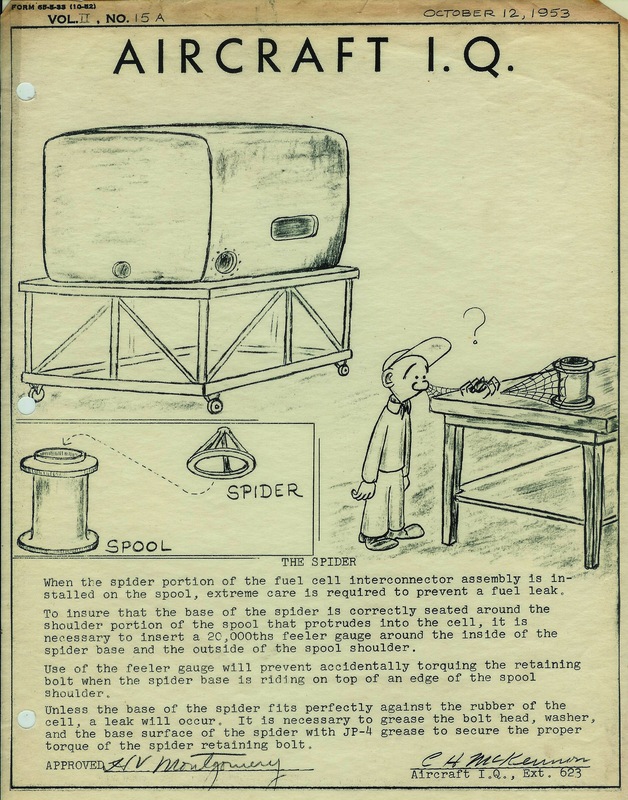 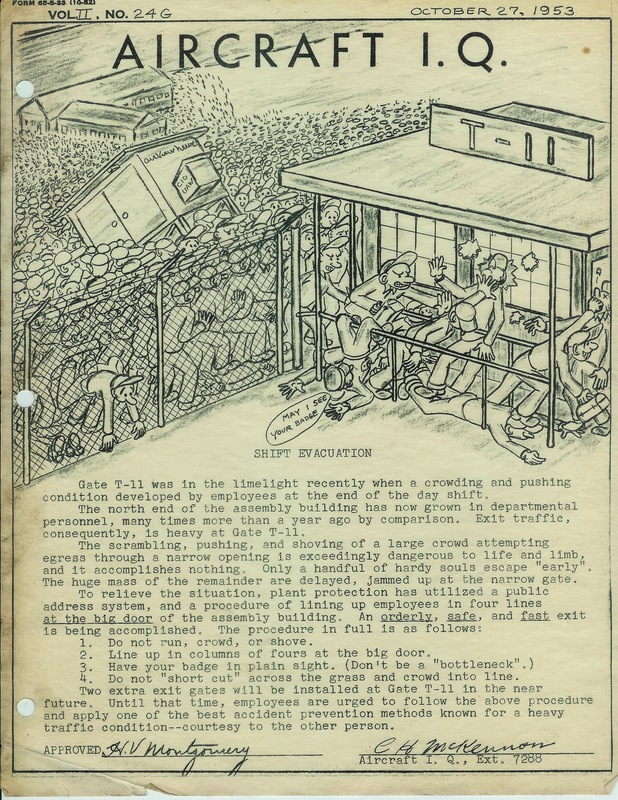 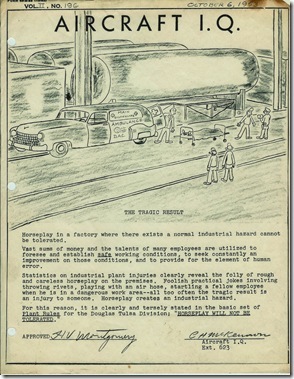 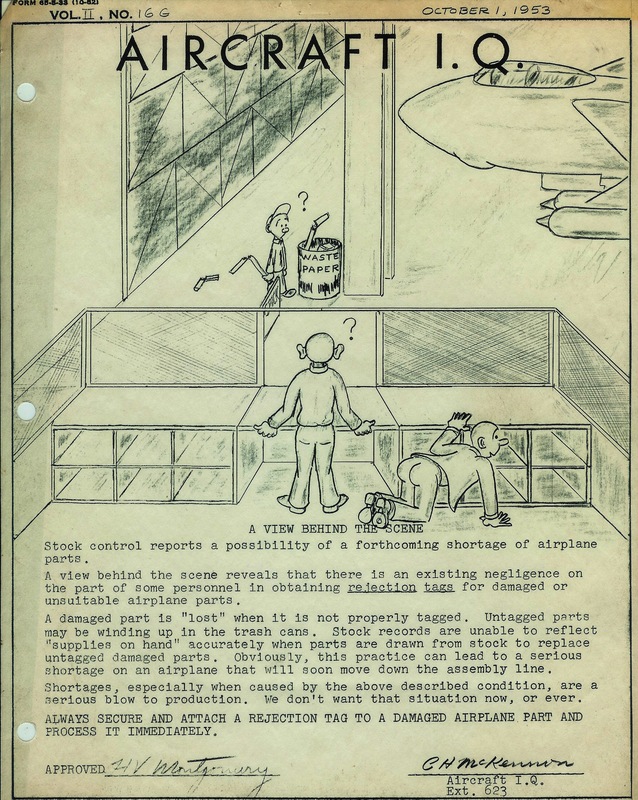 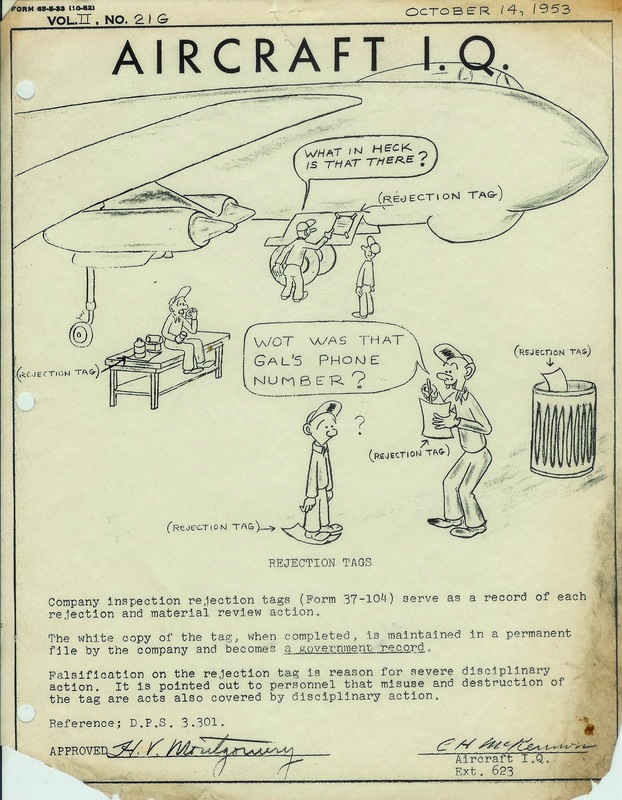 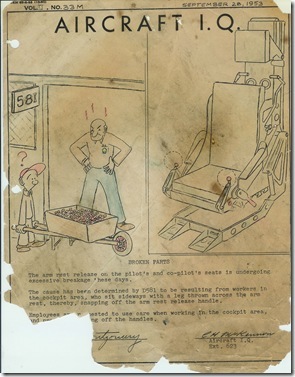 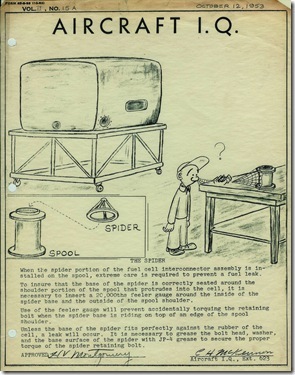 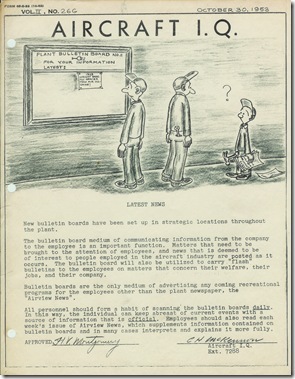 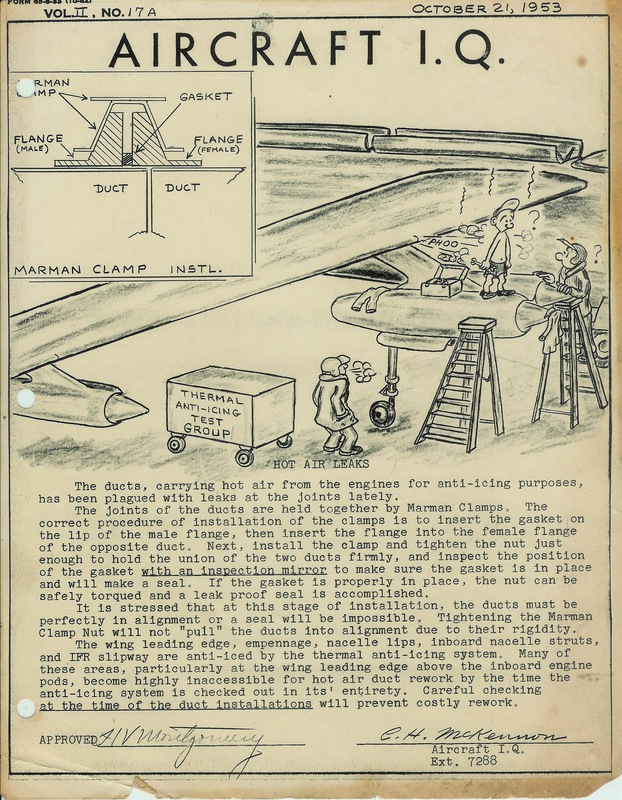 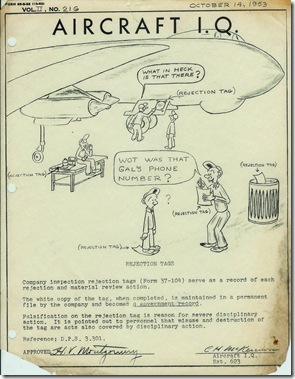 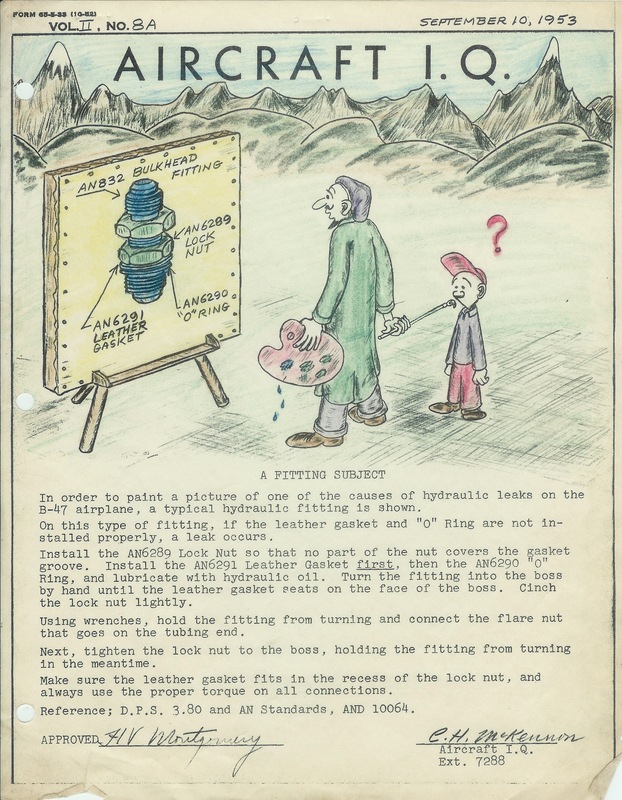 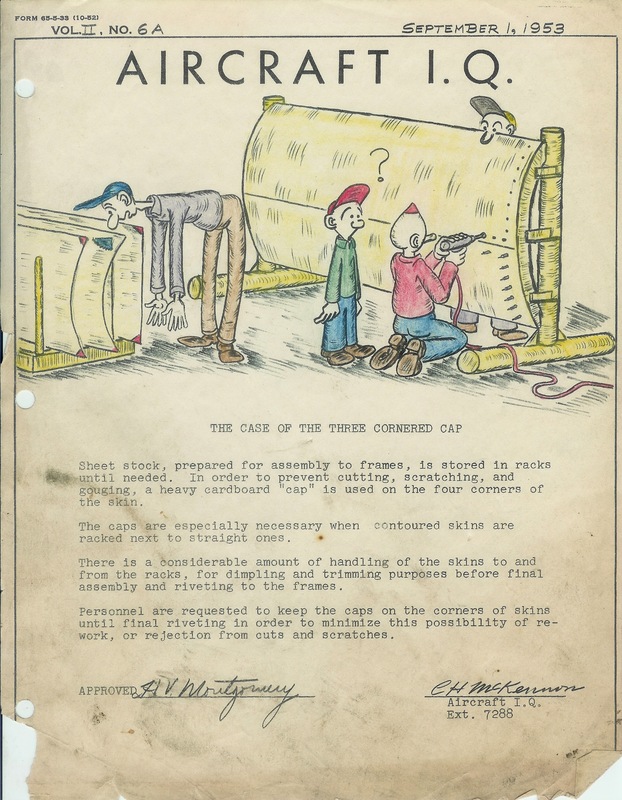 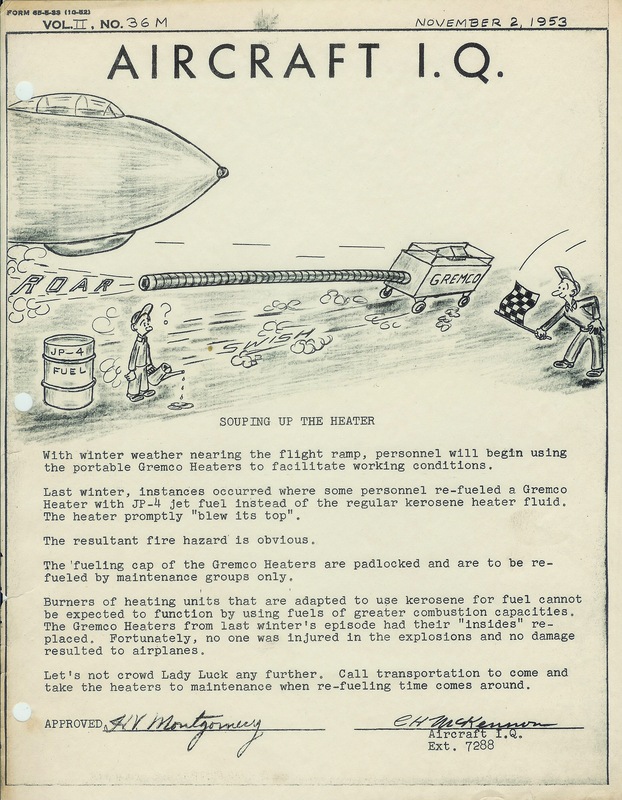 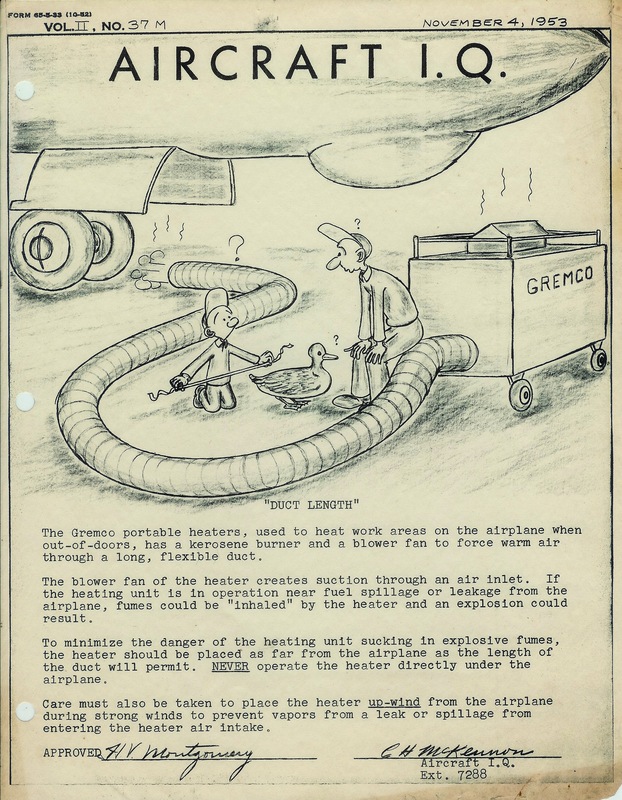 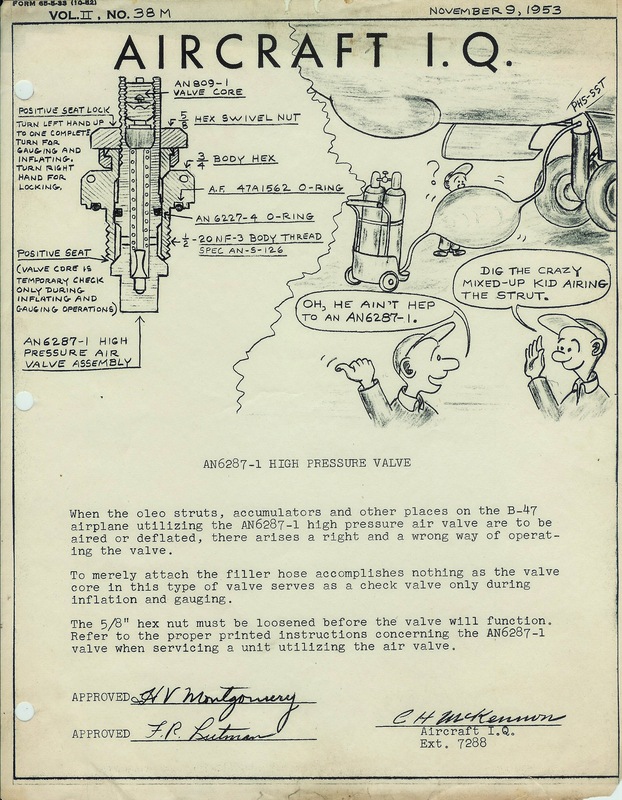 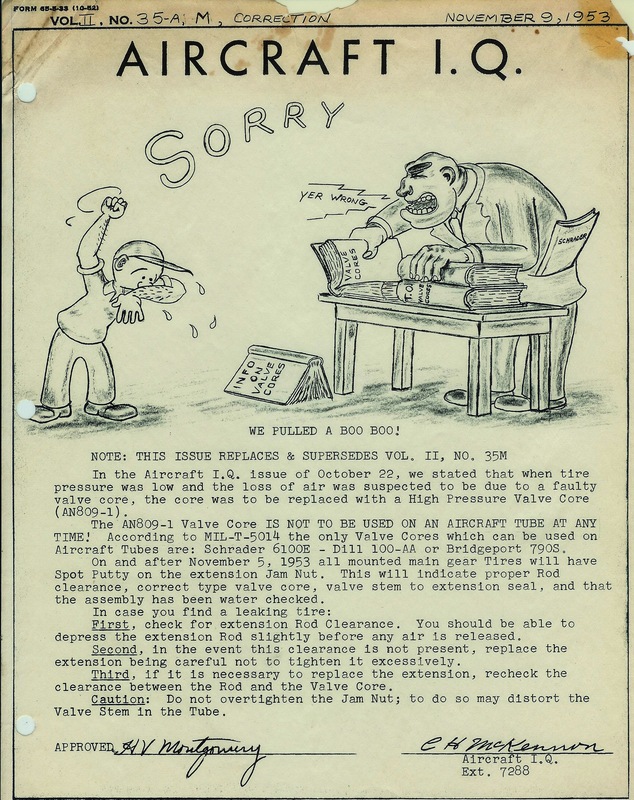 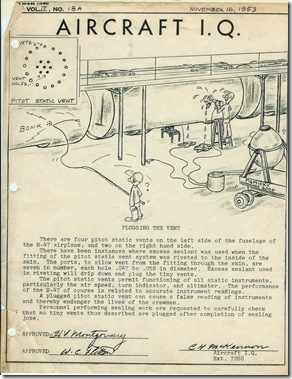 These are cartoons/information sheets that were used to announce new procedures at aircraft factories and repair shops. 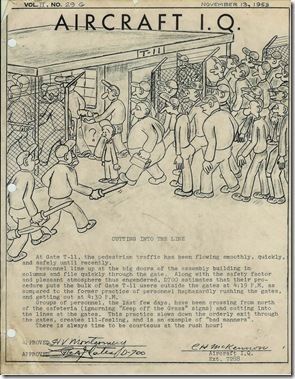 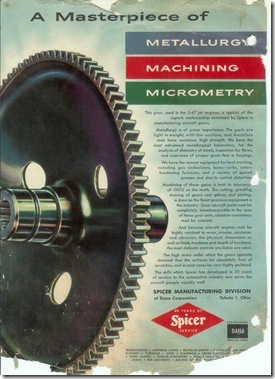 They were printed during the 1950’s. 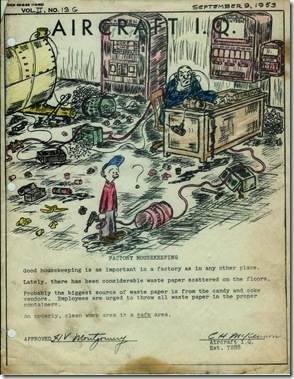 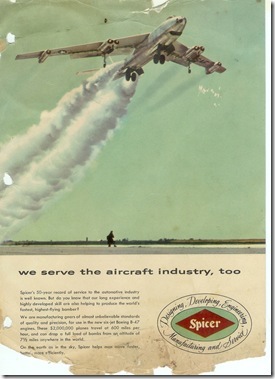 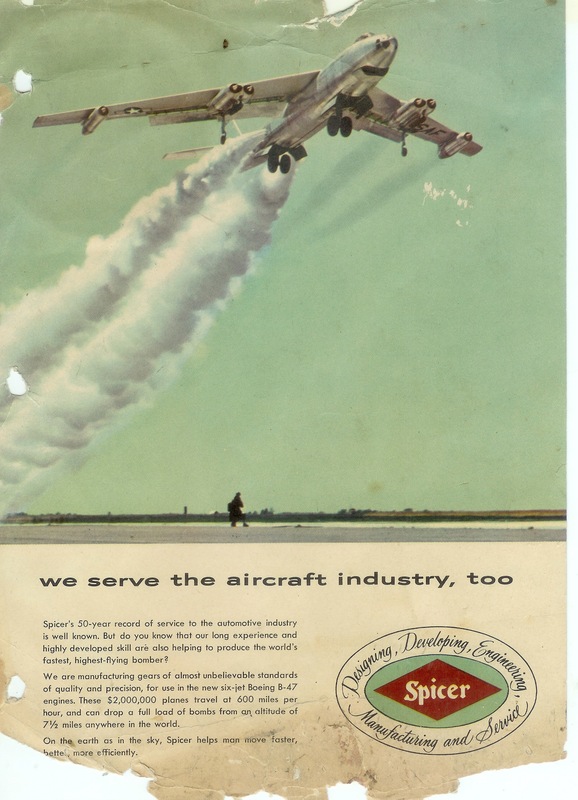 Also Here is an old ad I found among the IQ’s. 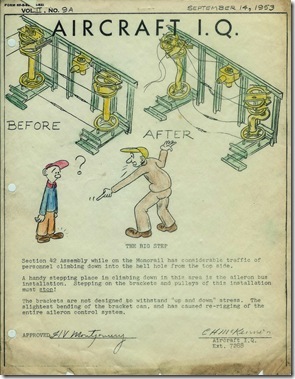 These are awesome, I am amazed at the condition!